At Aston Workshop we can produce engines which far surpass original reliability and performance. With the benefit of modern materials, machining techniques and oils we regularly build high performance engines to a high specification. 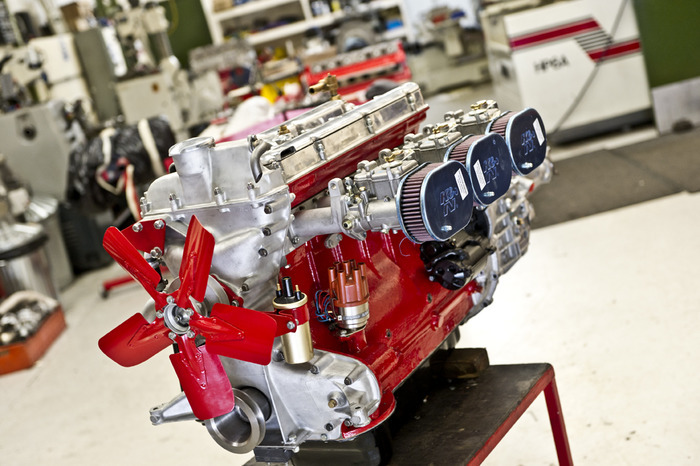 This engine is a perfect example of what can be achieved when starting from scratch, using modern upgraded parts and appropriate modifications. 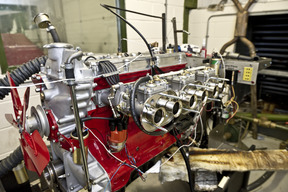 The following outlines the work undertaken to upgrade & enhance this particular DB2 engine. After a complete strip down and thorough examination of all parts, components were either refurbished or replaced as necessary. 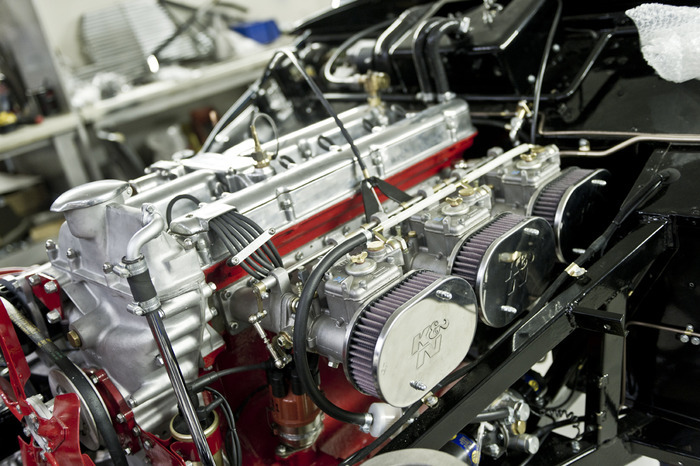 The engine block has also been line-bored to ensure that the new solid main bearing 'cheeses' and new billet steel crankshaft are in perfect alignment with the block and new forged connecting rods. The original rear mechanical main oil seal (a known weak point on these engines) has been dramatically improved by the conversion to a high performance silicone seal. 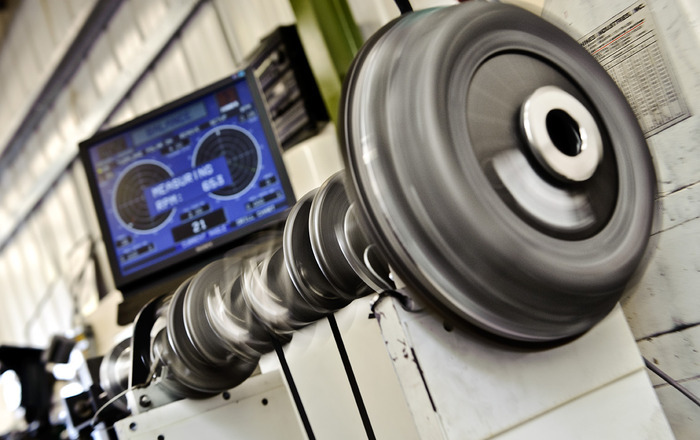 A particularly valuable upgrade has been the modification of the oil galleries combined with the fitting of a new high output oil pump to increase oil flow. The cylinder head has naturally been fitted with hardened valve seats suitable for unleaded fuel. 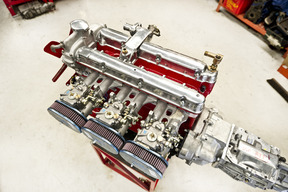 Larger diameter inlet and exhaust valves have also been fitted along with associated parts such as new phosphor bronze valve guides, springs, collets and cam followers. The head has been gas-flowed to improve performance and the compression ratio raised to an optimal level for road use. We have also increased the cylinder bore size and fitted new forged pistons. 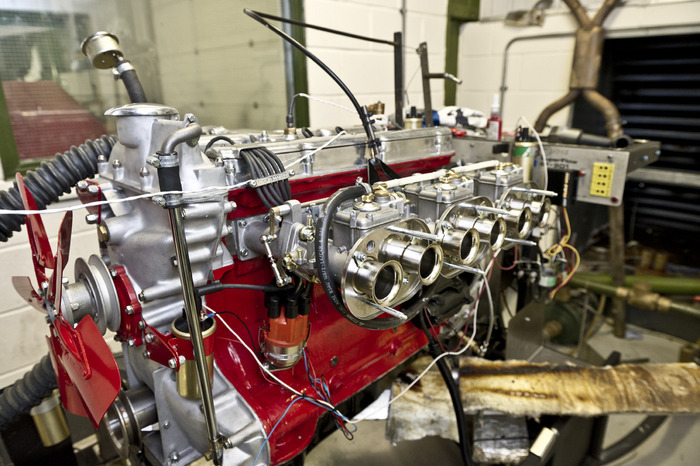 Along with the above mechanical upgrades the engine has benefited from 'ASTON WORKSHOP' high performance camshafts in conjunction with triple Weber DCOE40 carburettors and electronic ignition. 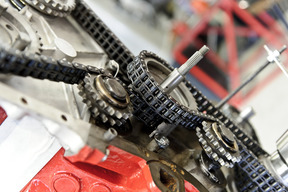 All of which have helped to boost overall engine performance and reliability. 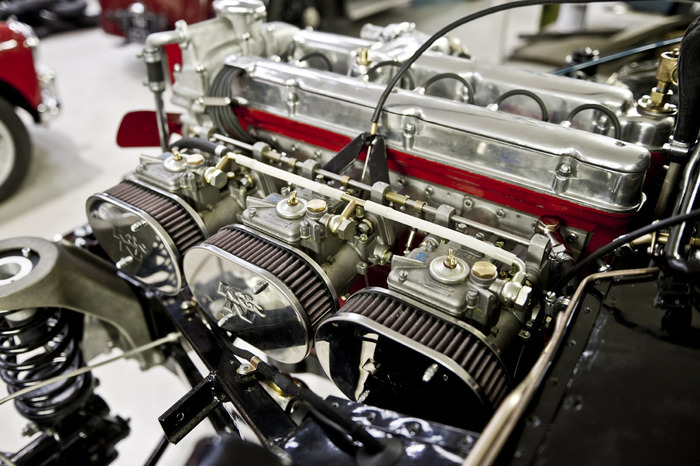 A detailed and very careful engine build was then carried out by Bill Gardiner and Kevin Hutson, with every part meticulously checked, re-engineered and assembled. 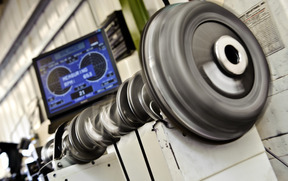 Finally, a comprehensive and extensive in-house dynamometer testing programme followed with performance figures of 195 BHP and over 200 ft/lbs of torque being recorded!